Exomotive - US Manufacturer of Exocars & Kit Cars | Exocet Hood = Miata Hardtop? Exocet Hood = Miata Hardtop? 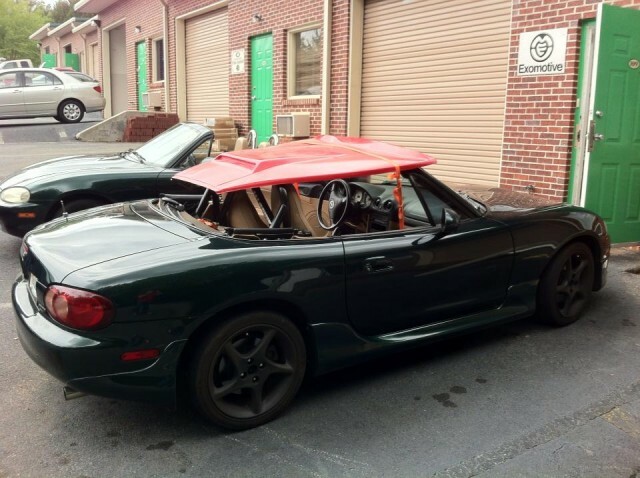 Your Exocet hood can apparently be used as a makeshift Miata hardtop.